Chickens are reluctant hosts to a number of parasites which can cause many problems from minor irritation such as a reduction in egg-laying, all the way through to, in extreme cases, death. Regular health checks for your flock will help to detect problems early-on before they cause more severe problems. A health check can be as simple as checking through their feathers and inspecting the vent area and legs on a weekly basis. The old adage of an ounce of prevention is better than a pound of cure is quite true. Your birds may come to enjoy their weekly checks, especially if they get a treat after! Today we are going to discuss the most common external chicken parasites, how you can identify them and how you can cure them. 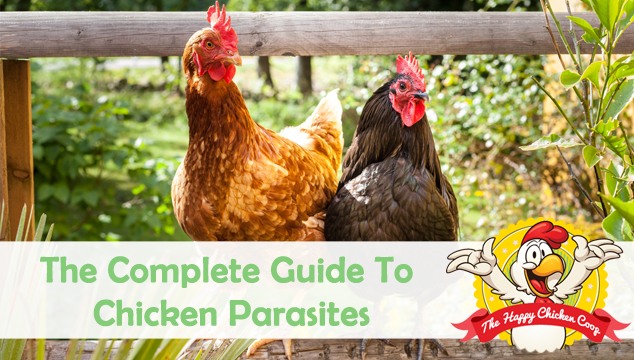 Parasites are small creatures that live on or in chickens. They are not beneficial to the chicken and can be very detrimental to their health. The most common external parasites that bother a chicken are: lice, fleas, bedbugs, mites, ticks and flies. All of these parasites can cause the follow symptoms: itching, excessive preening, broken/missing feathers, weight loss, reduced egg laying, anemia and, in serve cases,death. Mites are actually relatives of the spider; they have eight legs and are very small, so sometimes difficult to spot. All three types of mite can make a chicken miserable. The Northern mite stays on the bird day and night, so it is easier to spot and treat. You can often see clumps of their debris at the base of the chicken’s feathers. The lifecycle is less than one week. Contrary to most external parasites, infestations are generally worse in winter. To treat The Northern mite you need to dust all your chickens and the coop. Make sure you use an approved poultry dust, Sevin 5% or if you prefer a natural solution – wood ash can work very well. Why not make your chickens a ‘spa’ dust bath? 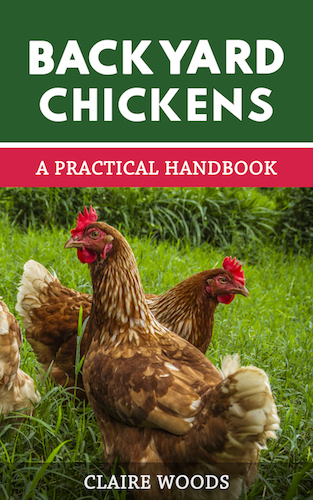 This will help to treat your chickens. The red mite lives in cracks and crevices in the coop and is very difficult to eradicate. It comes out at night to feed on its’ reluctant host – the chicken. 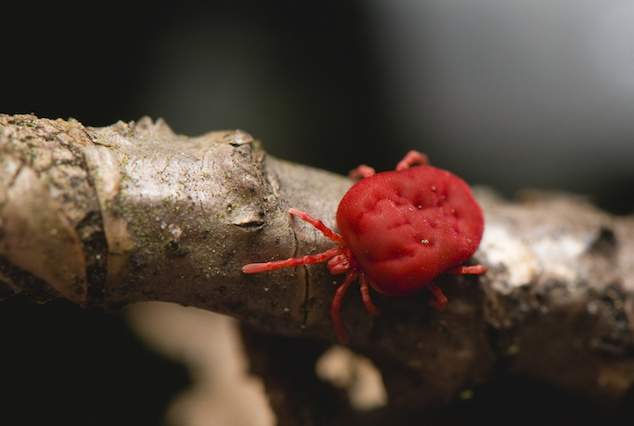 The red mite has a ten day life cycle and are most active spring, summer and fall. They can remain dormant for up to five months during the winter. A good way to spot if you have red mites is if your chickens are reluctant to go to roost at night. The best way to eradicate the red mite is to re-house your chickens and treat the coop. It’s nearly impossible to remove red mites whilst your chickens are still living in the coop. Your birds need to stay in the new coop for six weeks so that the old coop can be treated several times to effectively kill the mites. Each week you need to treat the coup with an approved poultry dust such as Sevin. Note: In a very severe infestation, the only practical thing to do is to burn and remove the old coop. This tiny critter burrows under the leg scales of the chicken and eats the skin, leaving piles of debris behind it. The scales on the legs will start to lift up and become painful and uncomfortable for the bird. If left untreated, it can lead to lameness and eventually death. Fortunately, this mite is relatively easy to eradicate. First of all you need to soak the chicken’s legs in warm water to soften the scales. Do not pull off scales, but do gently remove any loose skin. Next dry off their legs and apply olive oil (vegetable oil or similar) gently rubbing it in with a toothbrush – make sure it gets up and under the scales. Then wipe off the excess oil and cover the legs with Vaseline. The Vaseline needs to cover all of the scales – you are suffocating the mite and its’ eggs. This treatment should be repeated several times a week until the mites have died. Bedbugs may not readily spring to mind with chickens, but chickens can certainly suffer from them. The Centers for Disease Control and Prevention state that an adult female bedbug will lay about 5 eggs each day throughout her life. She can live for up to 12 months – that’s an awful lot of baby bedbugs! The most effective way to prevent bedbugs is to keep the hen house clean and to dust with an approved poultry dust periodically. You can read our guide on how to clean your coop here; see heading ‘run a tidy ship’. Note: Make sure to wear gloves and any other protection equipment you require when dusting. Most chicken fleas are brown in color, smallish, but large enough to be seen among the feathers. 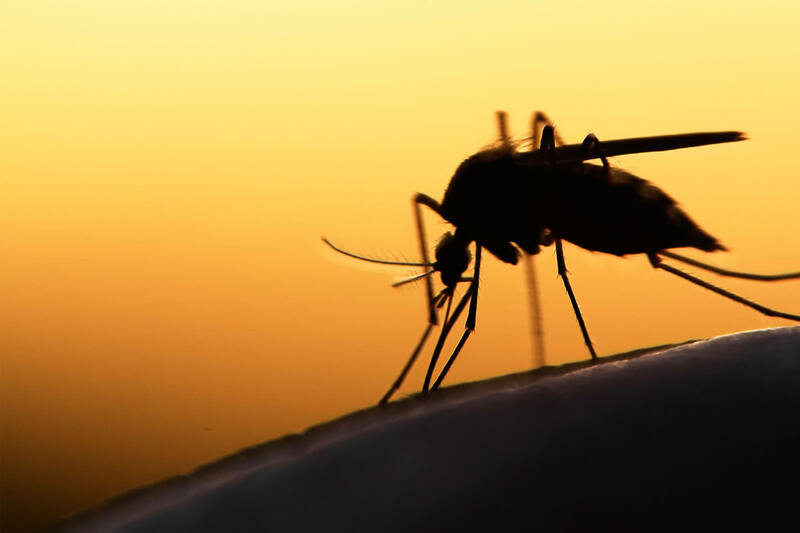 The worst infestations are usually seen during the hotter months, so extra vigilance is needed during the summer. There are two similar types of flea: the European chick flea is the most common flea present over much of the US. Its’ cousin the Western chick flea (aka black hen flea), is mainly limited to the Pacific Northwest and Canada. The Western flea prefers to live amongst the chicken droppings rather than on the bird. To treat either type of flea you need to dust all your birds with an approved poultry dust or diatomaceous earth* (even if some of your birds don’t appear to be infected- if one chicken has fleas, they all do). When you dust them pay special attention to under their wings, saddle feathers and main tail. You then need to remove all bedding/nesting in their coop and clean and dust. Pay special attention to corners, crevices and roosts. In 14 days you need to repeat the dusting and clean out the coop again. After the second clean your coop should be clean from fleas. *There is currently a good deal of controversy over the use of diatomaceous earth. Some people maintain it is not healthy for the birds or the environment so use at your own risk. Sticktight fleas deserve their own category because they require their own unique cure. Once they have infected a chicken, they are very difficult to get rid of. They congregate around eyes, combs and wattles so they are fairly easy to spot. The best way to remove them is with tweezers. Once you’ve puled the flea out, coat the area with a layer of Vaseline. The hen house bedding needs removing, and then cleaning thoroughly, with an approved dust. Repeat this step in another 14 days and make sure to pay special attention to corners and crevices, and roosts. Note: when dusting chickens’ heads use a small toothbrush to apply the dust. The respiratory system of a bird is sensitive to dust and problems can result if they intake too much dusk. Black flies, mosquitoes, and biting gnats (midges or punkies) are extremely irritating to chickens and their humans! They can most commonly be found around areas of stagnant water and wetlands. To treat them, make sure that you remove any stagnant water sources nearby. If you still find your chickens infected then use an approved pesticide such a ‘Mosquito dunk’. Note: Don’t put Mosquito dunks in the chickens’ water! If you don’t want to use a pesticide, you can use a natural prevention such as apple cider vinegar or garlic cloves. Just place this in the water and this is usually enough to deter these flies from resting there. If you have a very dense population of mosquitoes you should probably vaccinate birds against avian pox. Blowflies, also known as filth flies, don’t bite but they can be very irritating and can transmit tapeworms to chickens. If a hens’ vent area is particularly dirty and unkempt a fly may well lay eggs in the matting. 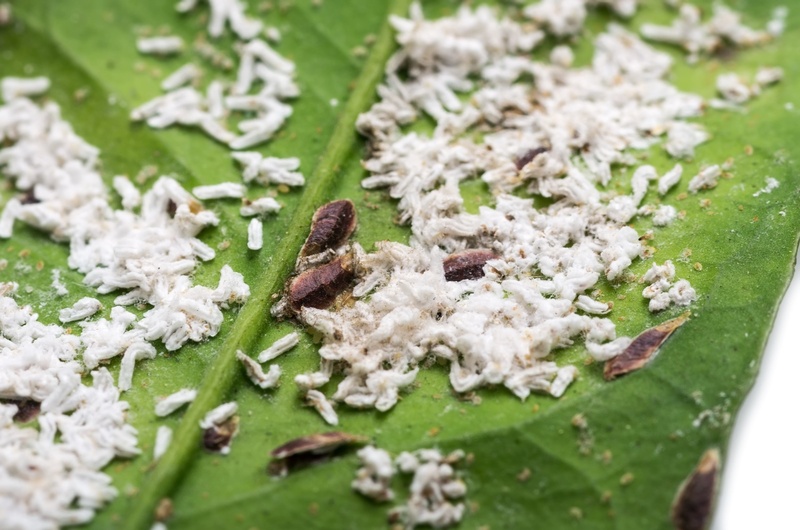 When the maggots hatch out, they will eat the flesh underneath and burrow down – this is known as flystrike (Myiasis). Depending on the severity of the infestation it can kill a chicken. Treatment can be done at home in most cases, but in severe infestations a veterinary should be consulted. Treatment consists of bathing the area in warm water (standing the chicken in a bowl seems to work well). The infested area needs to be irrigated initially with hydrogen peroxide; this will encourage the maggots to leave the area. Following the initial flushing, irrigate several times with warm saline. All maggots must be removed with tweezers. Then you need to dry the area (a blow dryer will work) and spray the area with Vetericyn wound spray. Once you first notice the infection this routine needs to be done twice daily. Then after the first two days, stop using hydrogen peroxide as it prevents skin regeneration. Continue the outlined routine until the infestation has cleared up. Now these two insects are true parasites. Their eggs are laid on the skin of the chicken and the larva will burrow down into their tissue where they mature. When they are mature they exit the tissue and drop to the ground where they pupate and turn into a Botfly. The Screwfly was once endemic to the US, Mexico and several South American countries; fortunately since 1982 it has effectively been eradicated from the US. As with blowflies, cleanliness in the coop, and frequent health checks, goes a long way to prevent your hens from getting infected. Lice are one of the most common chicken parasites. Chickens can be infested with several different kinds of lice. The most common in the US being: head louse, body louse, shaft louse and wing louse. The most common way chickens catch lice is through wild birds, adding new birds to an existing flock without quarantine or from contaminated clothing or equipment. A female louse can lay between 50-300 eggs in her short 3 week lifespan, so you need to make sure to treat your chickens as soon as you spot any lice. To treat your chickens you just need to use a poultry dust. Again like with Fleas, make sure to focus on the wings, saddle feathers and main tail area. In 14 days repeat the dusting and then check again a further 14 days later. You should find after the second check that all the lice are gone- if they aren’t, dust them again and wait a further 14 days. Note: Before you run and jump screaming into the shower, lice are species specific. You cannot get chicken lice, they might jump on you, even bite you, but they won’t set up house on you! The good news, for us who live in the frigid North, is we are unlikely to come across fowl ticks! Fowl ticks (blue bugs) live primarily in the warmer states – Arizona, California etc. As with mites, birds will be reluctant to roost at night since the ticks will bite and in the worst case they can cause paralysis by secreting a neurotoxin into the chicken’s blood. Treatment is similar to mites, dusting and removal of ticks with tweezers. If after treatment the bird is showing any signs of illness a veterinarian should be consulted. As with all things chicken, opinions and treatments vary. I have outlined the simple remedies that are easily available to most people. If you are uncertain please make sure to contact your local vet. 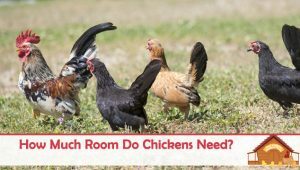 I’m sure that by now you are realizing that cleanliness in the coop along with frequent health checks is the best thing to keep many of these critters at bay. Also, many of these insects can be deterred from nest boxes and coops by the use of certain herbs, for example mint, lavender and rosemary – they will also keep the coop smelling a little sweeter! However one of the best ways to keep these parasites away from your chickens is to let your chickens take regular dust baths. If they don’t have access to a natural dust bath, you can make them one! 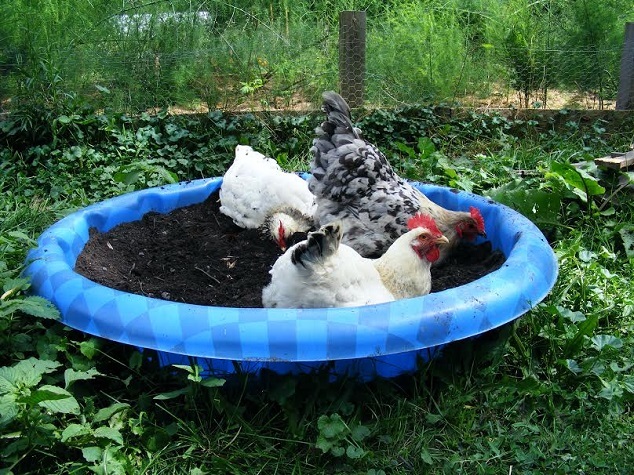 The best thing to make a chicken dust bath out of is a child’s paddling pool. If it is going to be placed outside at the mercy of the weather, you will need to make a few cuts with a box cutter or similar, on the bottom the entire length of the pool to release rainwater. 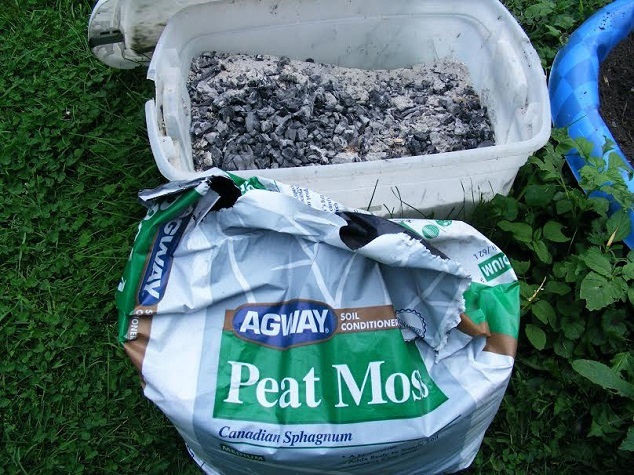 A mixture of wood ash and peat moss (about half and half) is what I use in my ‘chicken spa’. Filter the larger chunks out and use the finer wood ash. 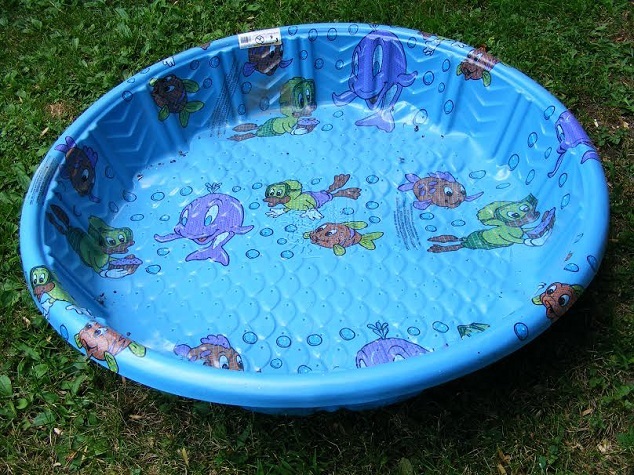 Make sure you fill the paddling pool up to 2-3 inches from the top and there you have it. Easy wasn’t it? The birds get quite enthusiastic in their ‘spa’ tossing the contents near and far. I top it off as frequently as needed! Be sure to keep your eyes peeled later on this week for the second installment of the series. Let Us Know Below What You Do To Keep The Critters Away! I’ve found the most effective way to kill mites is to constantly treat your hens and coop every few days over a prolonged period of time. If you just treat the mites once it won’t be effective as they can grow back..
I’ve lost 4 hens over the past couple weeks and 2 a month ago. Their symptoms included inability to walk well, which led to not eating or drinking hardly anything and other picking on them. I assumed it was Mareks based on everything that I read. It seemed they would limp, be sick for a bit then die. We have one going through that same thing right now so my daughter put her on a basket and brought her inside to sleep last night. She kept fidgeting and that’s when I noticed a TON of little black looking bugs around her while she pecked at them. I found out they are northern mites. Would this have caused the deaths of the others? I understand the anemia aspect of it now. I didn’t notice anything on the others, but they were outside and overall looked healthy besides the limping and gradually not eating. I did see a few spots on their feet just before dying that resembled the mites, but it appeared to just be spots and not an actual bug on there. I’m stumped. I’ve personally not heard of hens dying due to northern mites but this doesn’t mean it can’t happen! Whatever the underlying cause is, the northern mites certainly won’t be helping so I would treat them as soon as you can. I have noticed that the chicken coop has a severe red mite infestation. It’s been impossible to get into every corner of the coop, so now invested in a plastic coop. I have powdered the chickens well and put them in the new coop. I noticed one hen has lost a significant amount of weight. 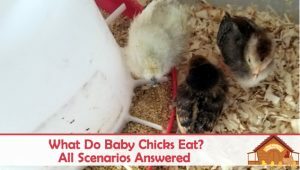 Will chickens recover from a severe infestation? Is there anymore I can do or should do? Is it better to keep them in a run or free range? Yes, they can recover from a sever infestation. It can just take some time that’s all. Make sure that you continue to dust them and keep them well feed and watered. Can i use the scarlex scarlet oil for horses and ponies on my chickens? If so, is it safe to eat their eggs? I’m sorry I’m not sure. I haven’t used scarlet oil before. Has anyone else tried? Have you tried using anti-peck? My chicks, 8 of them, are just 16 weeks old and tons of fun. I built a dust bath in the corner of their run with a few layers of bricks. In it I put equal parts of sand, wood ash and peat moss. They won’t touch it! They will perch on the bricks but no one will venture in. I’m a newcomer to chicken farming and just discovered your site. 5 birds and 3 laying happy colorful eggs. Being patient with the other two girls. This is some great information and I’m really excited in this new adventure. Just wanted to say thanks for your input and information and I’ll stay connected to your site. To make a homemade dust bath for the chickens, you said peat moss and wood ash. Can I use the wood ashes from my fireplace? Hi I recently got 3 baby chicks that are a few days old but I realized they have fleas and lice is there anything I can do to treat them. Follow these steps and you should be able to rid them.